Hello again! As I expect you all feel too, with open source development and innovation happening so fast and across so many fields of endeavor, it’s always a bit surprising when we step back and find another year has passed. We’ve seen tremendous growth, in both open source awareness and adoption, and also in maturity across the broader IT sector. As open source has taken hold, organizations are now beginning the important work of integrating and operationalizing internal processes and practices to leverage the value of not only open source software and communities, but the open ethos as well. In the U.S., the Federal Source Code Policy and resulting Code.gov initiative highlight the continued investment by governments around the world to increase their pace of innovation, reduce costs, improve quality and eliminate redundancy to improve services to their citizens. Bulgaria, China, France, India, Italy, Lithuania, New Zealand, the United Kingdom, and local governments in Bern, Boston, Nantes, New York, Paris, Pesaro, San Francisco, Turin, Umbria, Valencia, and many more, are reaching out to the OSI and our Affiliate Members to understand best practices in development, address licensing concerns, build community and—as we might expect from those threatened by, or looking to take advantage of, continued adoption—address FUD, and ensure authenticity. I am so grateful and inspired by the continuous support and enthusiasm from across the globe for our mission and our work. Over 2016 we’ve enjoyed significant interest and growth in our Affiliate Program, Working Groups and Incubator Projects from organizations around the world working in a variety of fields. Importantly this has been driven, not only by those new to or just entering the open source software community, but also by highly experienced users shifting to roles as developers, or active contributors now spinning up their own projects. For me, this highlights the importance of an evolving role with the OSI—responding to the needs of a maturing movement—while holding fast to our core mission: to educate about and advocate for the benefits of open source software, and to build bridges among different constituencies. Thank you, and have a great 2017! The OSI is happy to share our 2016 Annual Report. Thank you for another great year! This year, like last, I'd like to start off by first thanking the open source software community for all of your support. The Open Source Initiative is so very fortunate for the continued—and growing—participation in our Individual and Affiliate Memberships, as well as Corporate Sponsors and Supporters. I'm continually amazed by the energy, creativity and passion of those working to raise awareness and adoption of open source software development, projects and communities. Thank you! 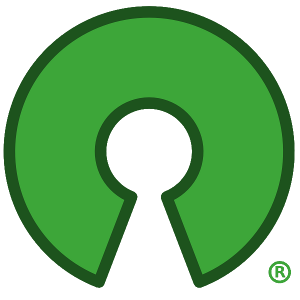 No doubt about it, 2015 was a great year for open source—I'm sure you saw the headlines: “The Golden Age Of Open Source Has Arrived” (TechCrunch), “Open Source Software Went Nuclear This Year” (Wired), “Why All The 'Open Source' Innovation?” (Forbes), “The Year of Crowdfunded Open Source Small Businesses” (Datamation). A few of you may have actually needed a double-take with revelations like, Apple is “the first major computer company to make open source a key part of its strategy," and Microsoft's “love” of Linux expanded to include other open source projects... including their own Linux distribution! Indeed, throughout the private and public sector, around the world—including the governments of France, India, Italy, the United Kingdom. and United States (to name a few)—open source enjoyed continued success. And 2015 was also a great year for the OSI: a new Board President and Director, a growing Individual Member base, a growing number of contributors and volunteers, new Premium Sponsors and Supporters; ten new Affiliate Members; a new website and additional infrastructure; a growing number of Incubator Projects; greater and broader outreach and advocacy; greater participation in open source events and activities, and much, much more. Within the following pages, you'll find more details on these activities, as well as many others we've undertaken to promote and protect open source software, raise awareness of the benefits of open source development and build bridges across open source projects and communities. I'm so very proud of the work we've done together through 2015 and with your ongoing help, I am confident we'll see continued success in 2016. The OSI is happy to share our 2015 Annual Report. First, let me start off by thanking all of you in the open source software community for your tremendous support and help throughout my first year with the Open Source Initiative. It has been quite a transition for me, moving from the formality and conventionalism of institutions of higher education, to what in many ways feels like a start-up. I'm truly fortunate—the OSI and the open source software community are energetic, creative, smart and for me personally, motivational. I was honored to join the OSI in November 2013, thrilled to work with the Board and our members this year, and excited about the possibilities and opportunities in 2015. I also want to thank you for taking the time to review our first annual report. Indeed, the fact that we have published such a document highlights our emphasis for 2014 and one of the primary drivers for hiring a GM—developing sustainability to ensure continued service, and building capacity to support the growing open source software community. Throughout 2013 we have worked hard to improve our infrastructure, not just the technology systems that underlie our day-to-day operations and enable growth, but also the policies and processes that define the OSI and allow us to promote and protect the community. I'm proud of the work we have done over the last year and—with your support and help—look forward to continued success. Open source software is enjoying significant growth in adoption and participation across all industries: the OSI and I are ready to serve that growing and diverse community. The OSI is happy to share our 2014 Annual Report.